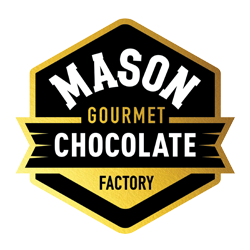 Mason Gourmet – Chocolate. Gelato. Bakery. 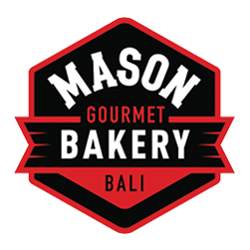 People roam tirelessly around Ubud all the time for every reason possible, and our range of gourmets are here to delight your taste buds after doing such enthusiastic activities. Relish the joy of eating luscious chocolate with our fresh Balinese cacao. We take considerable time and care to make sure our delicious range of chocolates look appealing, taste great, and are of good quality. Cool your body off and indulge in our homemade gelatos. 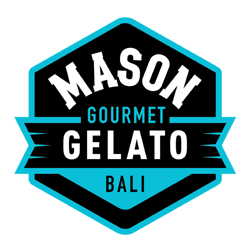 We take flavor inspirations from around the world and marry them with locally-sourced ingredients to nourish those with a serious addiction to this icy goodness. Comfort yourself with exquisite sweet treats prepared by the hand of our passionate bakers. Here we offer a large choice of artisanal pastries and confections, served consistently to a high standard.